The drama is inspired by the lives of table tennis players Ma Long and Zhang Jike. Ping Pong 乒乓 is a coming-of-age sports drama that centres around the lives of professional table tennis players and their journey to becoming representatives of the sport on the world stage. Bai Jingting (The Rise of Phoenixes) and Xu Weizhou (The Evolution of Our Love) play the male leads. The official remake of hit K-drama Misaeng, The Ordinary Glory stars Mark Chao as the workaholic team leader who takes the intern Sun Yiqiu (Bai Jingting) under his wing. The Rise of Phoenixes streams with English subtitles on Netflix beginning today here. The series is the first ancient drama brought in as a “Netflix original” and stars Chen Kun, Ni Ni, Ni Dahong, Liu Mintao, Zhang Xiaochen, and Bai Jingting. Here’s a bunch of stills and posters that have been released since the show begun airing other than the ones we’ve already posted, like Chen Kun’s color palette and Ni Ni’s costumes. The show also has a great OST, including Helpless 奈何 by Sam Lee, How did we become so helpless 何奈何 by Ni Ni, Like Yesterday 如昨 by Liu Xijun, and Schemes 心机 by Wang Xiaomin. A couple more behind-the-scenes stuff have also been released since the last round-up. Watch them here and here. The Rise of Phoenixes tells of the heart-wrenching romance between the descendants of two royal families who are destined to become enemies, and the political machinations that are bound to push them further apart. 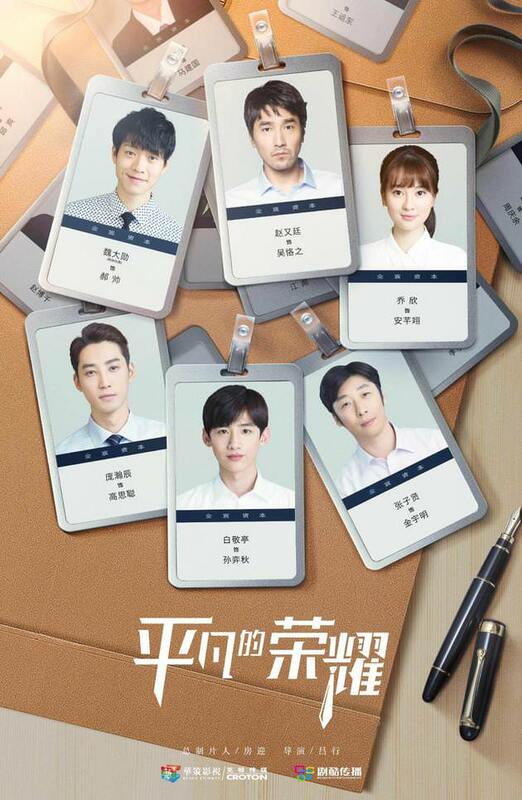 Starring Chen Kun, Ni Ni, Zhao Lixin, Ni Dahong, Yuan Hong, Wang Ou and Bai Jingting, the 70 episode drama airs daily on Hunan TV beginning tonight. Raw episodes will be uploaded by Croton, and it may also appear on Netflix US. 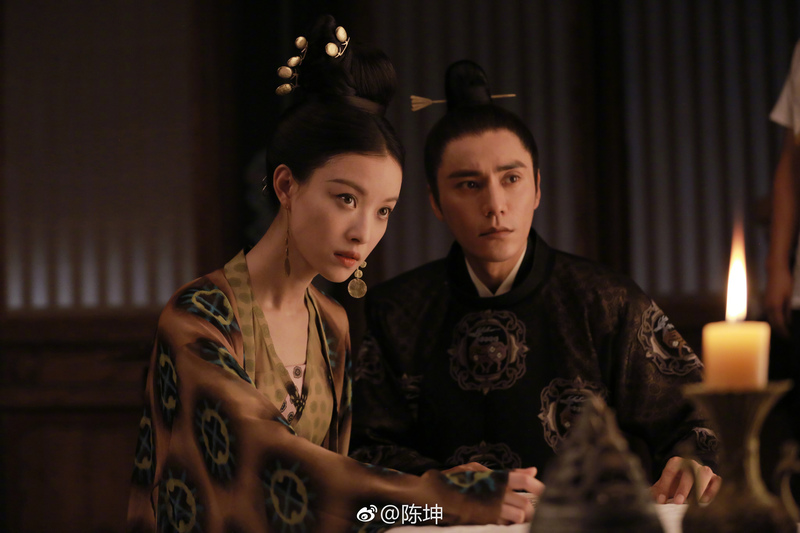 Chen Kun and Ni Ni’s The Rise of Phoenixes has released two TV spots, a bunch of new stills, and also gotten itself a new native title of 天盛长歌 (lit. The Golden Age of Tiansheng). The 70 episode drama is confirmed to air as a daily drama from August 14th. The remake of acclaimed slice-of-life Korean drama Misaeng / Incomplete Life is titled Ordinary Glory 平凡的荣耀 (lit. ), and stars Mark Chao (Midnight Diner) as Wu Kezhi, the workaholic team leader who has a strained relationship with his superior. Bai Jingting (Rush to the Dead Summer) plays Sun Yiqiu, the newbie office worker who is turned away by multiple employers due to the lack of a tertiary degree. Irreplaceable Love 初晨，是我故意忘记你 (lit. Chuchen, I Forgot About You on Purpose) stars Bai Jingting (Rush to the Dead Summer) as Li Luoshu, an orphan who was kicked out by his grandmother after the death of his parents. Sun Yi (Siege in Fog) costars as Li Chuyao, the warmhearted young girl who lives across the street from him. 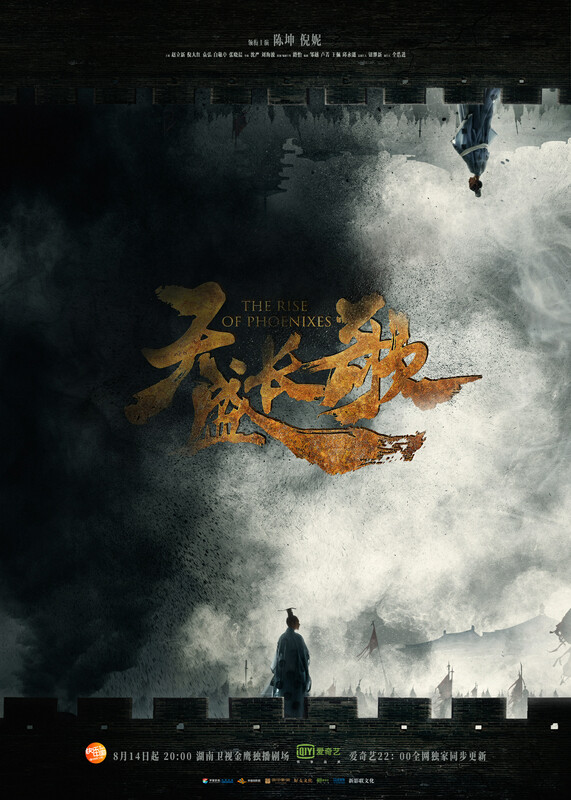 The Rise of Phoenixes tells the story of an ambitious prince (Chen Kun) who wants the throne for himself, and his love-hate relationship with a cross-dressing genius politician (Ni Ni). Character introductions can be found here.